If you didn't already know, the Renaissance is coming back to our time. 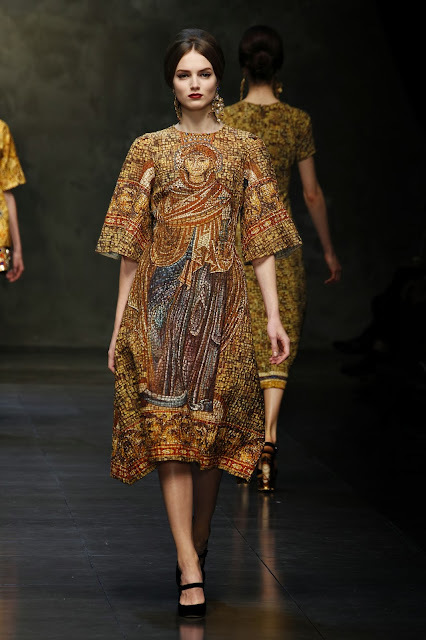 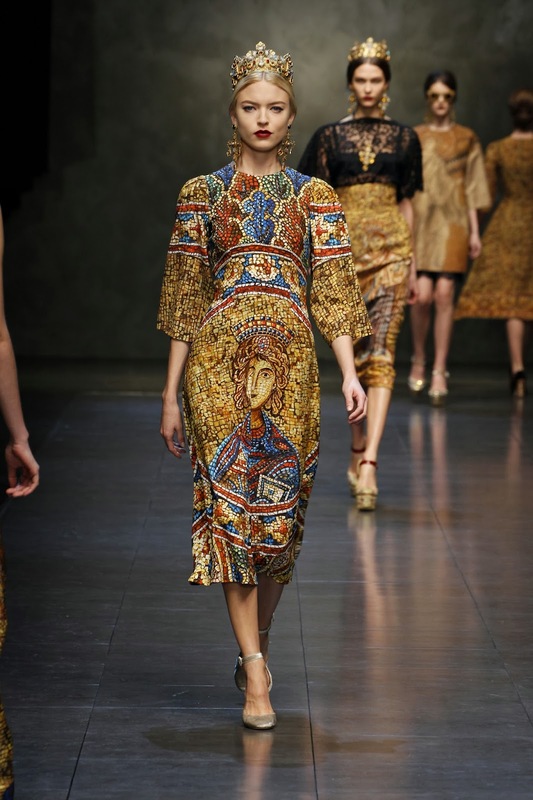 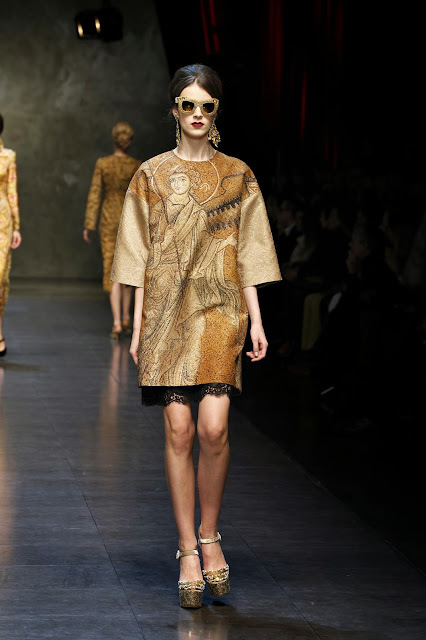 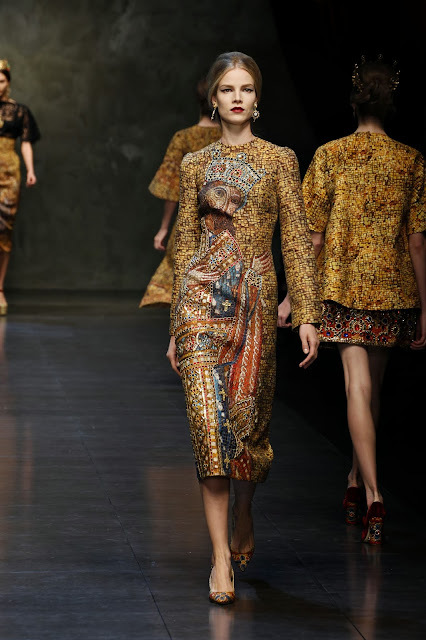 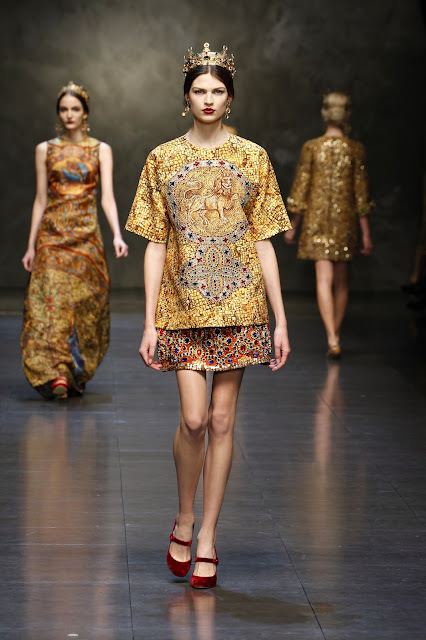 Dolce & Gabbana started of with their winter 2014 women fashion show. It contains mostly gold, little hints of red, bleu and brown. 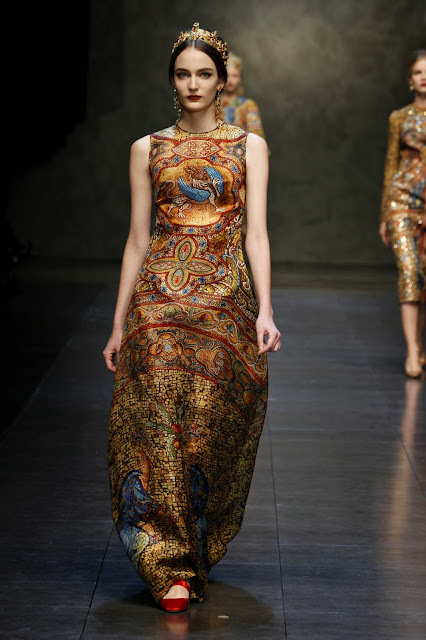 Also a lot of the old prints return. 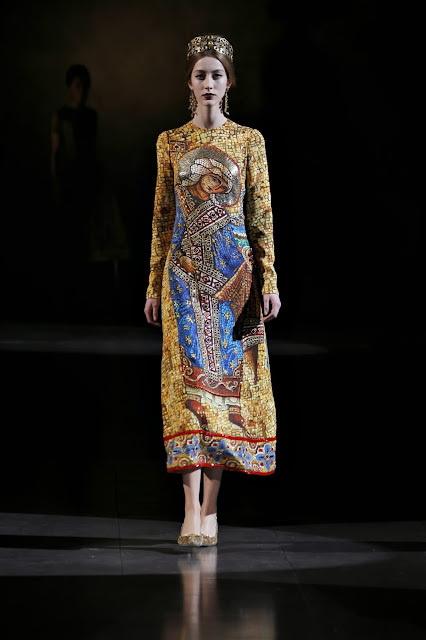 What strikes are the painting like figures used on the fabrics. 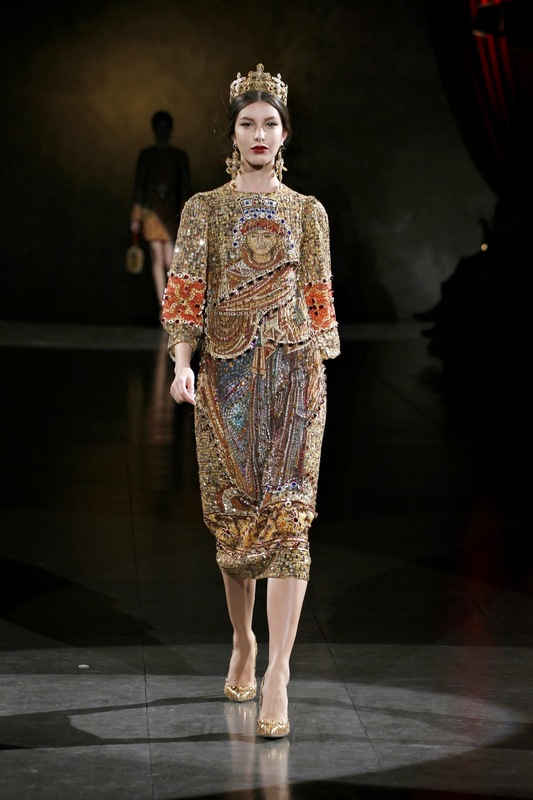 The accesoiries used are exclusively golden and contain their renaissance look even with black lace. 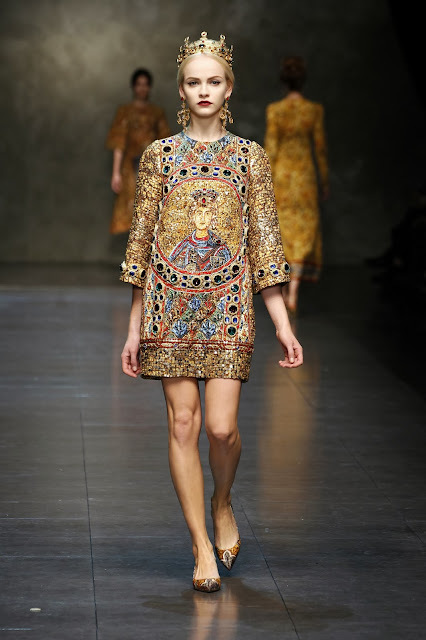 What I really like are the crowns that gives it all the perfect finishing. 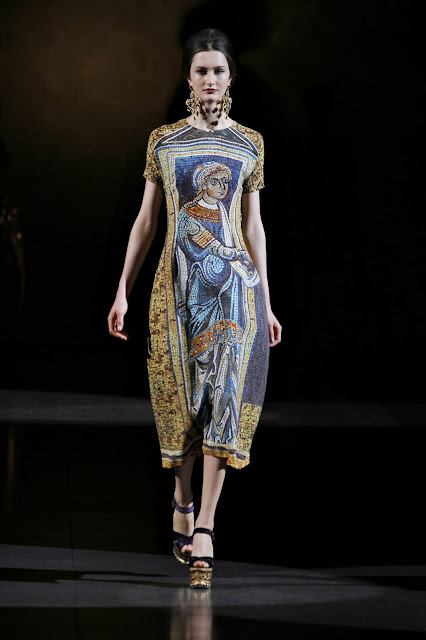 The attire has mostly straight lines and is more simple. Here are some photographs and a link to the website.